KVPY Application Form 2018 -The registration for KVPY was opened from July 11 by Indian Institute of Science (IISc), Banglore for SA, SX and SB streams. The last date to fill application form was August 31, 2018 till 5 pm. The online application fee payment date for candidates registered for KVPY 2018 has been extended till September 7, 2018 (5 pm). Kishore Vaigyanik Protsahan Yojana (KVPY) exam will be conducted on November 4, 2018. Students who are studying in class 11, 12 and UG first year can apply for KVPY. The process of KVPY application form 2018 involves three steps- registration, entering details and making payment. Candidates need to have a valid email address and mobile number to register and fill the KVPY application form. The KVPY application fee of Rs.1000 for General and OBC category and Rs.500 for SC/ST/PH/PWD (excluding bank charges) is to be paid using the credit card, debit card or net banking. The selected candidates by KVPY exam are awarded scholarships to pursue their undergraduate and research studies in basic sciences. In this article, candidates can get more details related to KVPY registration process 2018 such as how to fill the application form, fee, mode of payment, documents required and last date to apply for the KVPY 2018 exam. Latest: The last date for application payment of KVPY for a registered candidate has been extended till September 7, 2018 till 5 pm. Candidates who are applying for KVPY 2018 must check the detailed eligibility criteria given below. The KVPY eligibility criteria 2018 includes educational conditions for each stream-SA/SX/SB, which candidates must fulfill to avail the fellowship programme. Nationality -To fill KVPY application form 2018, the candidate must be a citizen of India. Candidates who enrolled themselves in Class 11th (science stream) can apply for this exam. Minimum Marks: As per KVPY eligibility criteria, candidates must pass class 10th with Mathematics & Science subjects with a minimum 75% (65% for SC/ST/PwD). Qualifying Exam: Candidates who have taken admission in class 12th (science subjects) can apply. Minimum Marks: Candidates must score minimum 60% (50% for SC/ST/PwD) in Mathematics and Science subjects (PCB) in Class 12th. Candidates also have to obtain at least 75% (65% in case of SC/ST/PwD) in class 10th. Qualifying Exam: Candidates who enrolled in 1st year of the UG programme in Basic Science (Physics/Chemistry/Mathematics & Biology)- B.Sc/BS/B.Math./B.Stat./MS/Int. M.Sc) can apply for this exam. Minimum Marks: Candidates must score at least 60% (50% in case of SC/ST/PwD category) in 10+2 examination. In the first year of their final exam in B.Sc/BS/B.Math./B.Stat./MS/Int. M.Sc, students must secure 60% (50% for SC/ST/PWD). Before starting the KVPY application process, candidates must go through the important instructions. Now aspirants will be directed to the login page as shown in the image below. Click on the button 'click here for registration'. After clicking on the button, the registration form will appear. Fill the details, captcha, check the Iagreeoption and click on Register to complete the registration process. The following window will appear after registration where candidates will get their KVPY user IDs. Students will also receiver their login ID and password via email and text message. Note the login ID and password for future use. Note: IISc will send important information in connection with the exam and KVPY application on your registered E-mail/Mobile number, so candidates must ensure that they fill valid and correct information as it will be not be changed once submitted. Uploading Documents and Exam Preference - Here, students have to slelect the preferred language for appearing in the exam, preference for the test centres (maximum 4), and upload their photograph and signature. Now candidates can submit the KVPY application form 2018 after preview. There are 99 cities where the KVPY exam will be conducted. Check the complete list of KVPY Exam Cities here! Candidates can check the status of KVPY 2018 application form by logging in using their user Id and password. It is advisable for candidates to download and keep a printout of the KVPY application form 2018 for future reference. Candidates must preview the application form of KVPY 2018 prior to the final submission. There will be no option for correction once the form is submitted successfully. They must, therefore, preview the KVPY application form 2018 before submitting it. What after KVPY Application Form 2018? All the eligible registered candidates will be able to download their KVPY 2018 admit card for the examination which will be released in the second week of October 2018. The admit card will consist of the details regarding when and where the examination will be conducted along with other information. It is essential for all candidates to produce the admit card at the exam centre. Without the exam centre, the candidates will not be allowed to attempt the examination. Question: Can I submit the application form in the offline mode? Answer: No, there is no option for submitting the application form in the offline mode. KVPY application form is released only in online mode. Question: Can I submit the KVPY application form 2018 with late fee? Answer: No, the application form must be submitted by September 7, 2018 - 5 PM. Question: What are the documents to be uploaded with KVPY application form 2018? Answer: Candidates are required to upload the scanned copy of their passport size photograph and signature. Question: How can I check my application status for KVPY 2018? Answer: After submitting the application form along with fee, candidates can check their application status by logging in through their registered accounts. Question: Can I edit/modify my application details after submission of application form? Answer: No. Once you submit the KVPY application form 2018, you won’t be facilitated with any option for editing the form. Question: I forgot my application details. 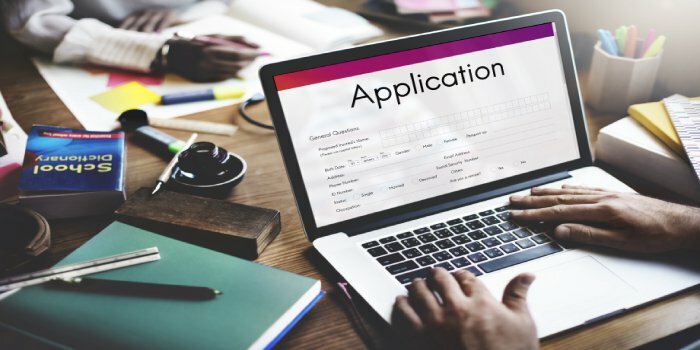 How can I obtain my application number? Answer: Candidates have already registered themselves can obtain their application details by clicking on 'Forgot Application Number or Password' option, which they can find on the KVPY Application Window. Question: Can I use my friend's mobile number for filling KVPY application form 2018? Answer: Candidates are advised to use their personal number, address or e-mail ID to register for KVPY 2018. Question: What the KVPY scholarship amount awarded?